We realise that for your wedding there are so many different things to get organised. So when it comes to the music, we're here to help. We offer a range of different packages to suit each client to give your special day that added touch. In addition to the ceilidh dancing which we will provide, we have teamed up with a variety of other musicians to put together different musical packages to fit your requirements. Below, you can look through a selection of musicians who we work with and once you have decided what you want, we will do the rest. Andrew Spence began his piping career at the early age of 8 and has since gained a wealth of musical experience which is now evident in his performances. Starting out with with the Seafield & District Pipe Band in West Lothian, under the tutelage of Mark Bennett, Andrew began performing in many local competitions from a young age. 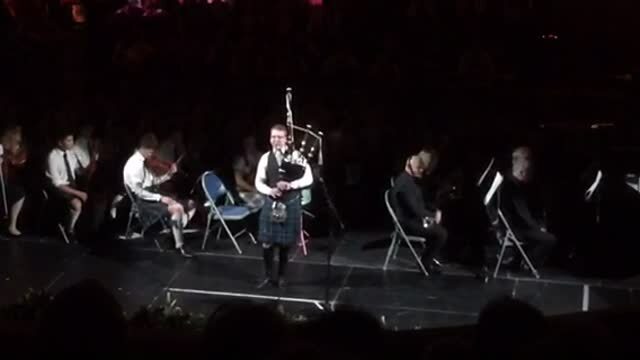 In 2009, he joined George Watson’s College (GWC) in Edinburgh, regarded as one of the most successful teaching establishments affiliated with the Royal Scottish Pipe Band Association, and as part of the band, has won multiple Major championships, including the World Championships in 2016 and Pipe Band of the Year at the Scottish Traditional Music Awards in 2012. Through his time at GWC, Andrew has benefitted in tuition from highly regarded Pipe Majors Iain Simpson and Ross Harvey. Outwith competitions and school functions, playing with GWC Pipe Band has allowed Andrew to perform at a range of other notable events. These have included performances at Murrayfield Stadium, Edinburgh and Stirling Castles; performance for the Queen & the Royal Family at the Braemar Gathering; performance for Pope Benedict XVI's Papal visit to Edinburgh in 2010; performance with the Scottish Fiddle Orchestra at Edinburgh’s Usher Hall and appearances at The Edinburgh International Festival Fringe. He is also currently the resident piper with the Ayrshire Fiddle Orchestra (AFO) with whom he toured South Africa in 2015 and will be touring the USA and Canada in 2017 and additional international appearances have included performances in France, Belgium, Japan and Canada. Andrew is currently a member of Peoples Ford Boghall & Bathgate Caledonia’s Grade 1 Pipe Band while he also continues his involvement with the Ayrshire Fiddle Orchestra along many other solo engagements. He has been playing at private functions for a number of years and is available for hire for a wide variety of events including weddings, birthday parties, fundraising events and corporate events. He already has a huge repertoire of tunes up his sleeve but will be more than happy to learn your favourite music on prior request. To enquire about hiring Andrew for your event, please contact us using the details found above or through the contact page on our website. Jemma Kate is a highly talented Scottish singer/songwriter and regularly performs for audiences across the country. This year alone, her credits include, headlining the world press conference of the Ryder Cup at Gleneagles, Scotland, and playing at the launch of the Commonwealth Games 2014, in Glasgow. Jemma has spirit, stage presence, confidence and combined with her creative mind, she writes and performs her own material along with a wide variety of covers. Launching her first EP in 2014 – Dream a Little Please, Jemma's reputation is growing. Her acolades range from the winner of West FM's 'One to Watch, VisitScotland Thistle Awards 2014 at Stirling Castle and winner of Jim Gellatly, Amazing Radio's Scotland's Greatest Album: Round 2 – Female Singer Songwriters - and the awards won't stop there. If it is a singer you are looking for, either for ceremony or reception, Jemma is the perfect choice for you. She is happy to learn songs on request and may just be that added touch you need. To enquire about hiring Jemma for your event, please contact us using the details found above or through the contact page on our website. Especially popular for Weddings, Birthday Party's and University Graduation Balls, is a ceilidh combined with a disco. No matter what the event, you will always have some real ceilidh enthusiasts who love all the old standards. But you will also have that one person who likes to do a bit of their own freestyle and show off their own moves - the rebel who doesn't like being told what to do! That is why we offer a disco package to add on to the ceilidh part of the evening. By combining a ceilidh and a disco, you will be sure to entertain the musical tastes of all your guests and keep everyone happy all night long. Of course, everyone has their own preferences for what they would consider 'disco music', so we are happy to take a list of prior requests to add in to our set and we are also happy to take requests on the night. To enquire about a disco for your event, please contact us using the details found above or through the contact page on our website. We strive to provide you with the best night of entertainment we possibly can and that doesn't just come from sounding good getting everyone up dancing. It is also important for most people that everything else surrounding the performance goes according to plan and for that reason we try to be as versatile as possible and offer as many different solutions to any scenarios which may arise. Below are a list of some additional optional extras which we can provide that may help to make things run that little bit smoother or help out with something on your big day (all add on extras will include a small fee). If you are interested in any of the above add ons (or any other feasible scenarios we could help out with), please include your request when speaking to us and we will be happy to help.